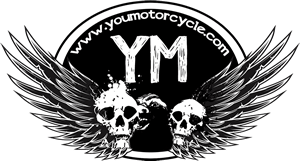 You should remember Karl Steinmeyer from previous YouMotorcycle contributions, How to Pull a Motorcycle Trailer – Tips from a Veteran, and Motorcycle Trailer: a Great Option for More Road Time. His latest project is BadassHelmetStore.com. Karl reviews and sells helmets for every motorcyclist out there, and he puts out, uh, infographics, of sorts, too! 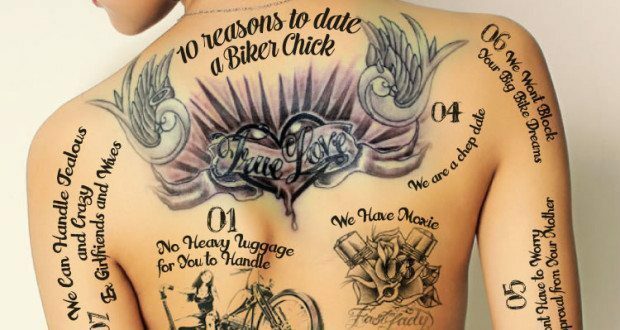 So why date a “biker chick”? Well, here are ten reasons. I’m not quite sure what “We have moxie” means, nor do I know that I understand reason #9, but hey, to each their own, and life, just like a helmet, isn’t one-size-fits-all. Looks like our guest artist may have forgotten to carve the digits “03” into our young lady’s back, but I’m guessing that’s what “We have moxie” is……number three? I guess, but in all honesty, we’ve never worried about approval from anyone. Well, there you go. Clearly, the previous Mrs. Williams should have been a biker chick. Haha, your last two comments have cracked me up. Have a good one, Dave. 4 – cheap date? pfffft…mine wasnt!